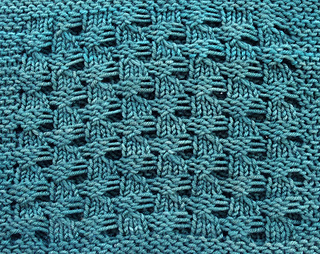 This pattern is totally customizable based on your own preferences - I provide instructions to knit the cowl as pictured with a combination or written instructions and charted stitch patterns (please note - the instructions for each stitch pattern are not written out to save space, so you will need to know how to read basic charts). 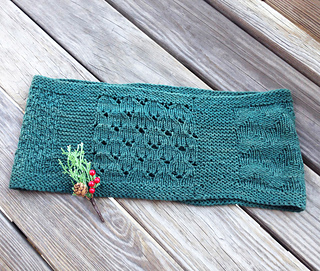 The pattern also provides ideas for ways you can customize your own cowl and knit a smaller version (which only uses 1 skein of Shasta yarn). You could knit endless combinations! 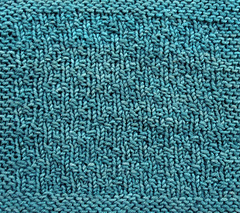 As written and shown here, the Yadda Yadda cowl alternates panels of garter stitch with 4 different easy-to-memorize stitch patterns; using larger needles than you would normally for a worsted weight yarn, you’ll create a delightfully squishy fabric that is still quite warm. 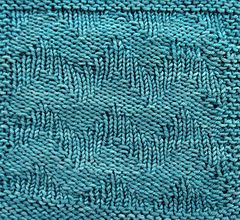 The sample shown here is knit using 2 skeins of Baah Shasta worsted yarn, a lovely superwash that comes in a variety of hand-dyed colors. As for the name, it came about one day when I noticed I’d scribbled out a few pattern notes to myself, followed by “yadda, yadda, yadda” which gave me a chuckle. 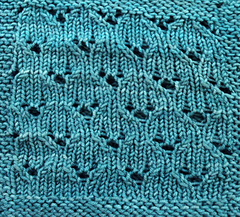 Luckily for you, I expounded on the yadda for this pattern so that you don’t have to guess what that might mean as you knit.